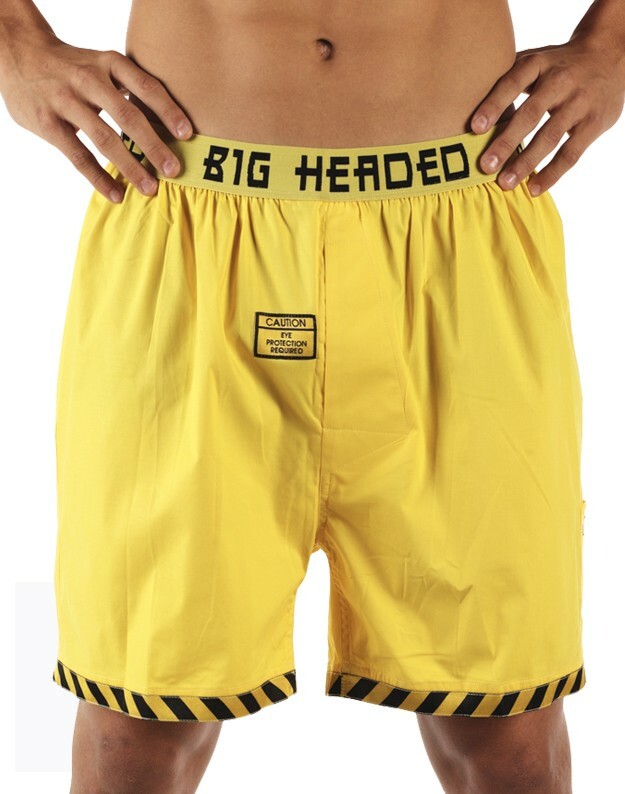 Made of the finest combed cotton, 97% cotton 3% spandex stretch woven boxer with our signature red tape measure inside fly. Our unique blend of fabrics is designed for movement and flexibility. Satin jacquard checkered taping at side seams. Caution Eye Protection Required embroidered patch at front. Front hidden condom pocket with Head Protection Must Be Worn at All Times strip label. 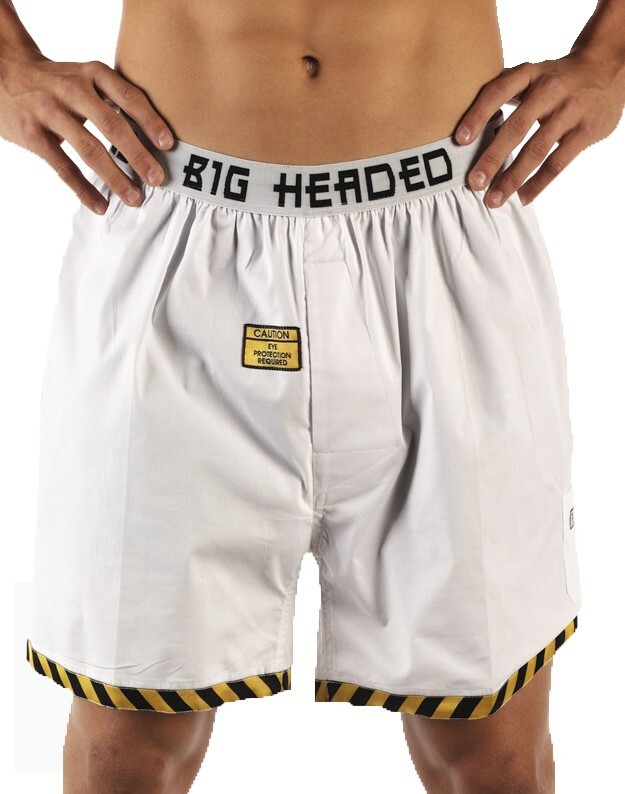 Big Headed logo ultra soft elastic inside waistband for added comfort. "You only have two eyes, keep them safe from splash hazards."